On the Template tab, in the Action group, click Load Template. 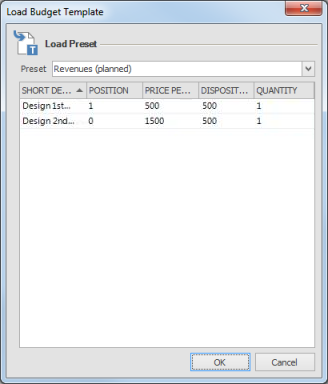 In the Load Budget Template dialog box the included position of the templates are displayed. In the Name drop-down list choose a name of the template for the budget. How to open a budget template | InLoox PM 8 • Copyright 1999-2019 © InLoox, Inc. All rights reserved.